If you have a shop or retail outlet in Dorchester and are preparing a special Xmas display, please enter our Xmas Window Competition. We would like to recognise and reward your efforts. 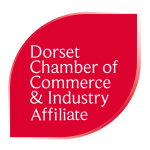 Dorchester Chamber and Dorchester BID are offering £50 each, making a total prize value of £100 to the best Xmas window in Dorchester. Judges will be Dorchester Mayor, President of Dorchester Chamber, DBID and Chairman of the Cracker Committee. Closing date Friday, 14th December 2018.